↑ Vadillo, Umar Ibrahim. The Return of the Islamic Gold Dinar: A Study of Money in Islamic Law & the Architecture of the Gold Economy. Madinah Press, 2004. ^ ا ب Meera, Ahamed Kameel Mydin. 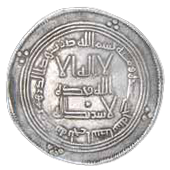 The Islamic Gold Dinar. Pelanduk Publications, 2002. ↑ Evans, Abdalhamid. "The Gold Dinar-A Platform For Unity." Proc. of the International Convention on Gold Dinar as An Alternative International Currency. 2003. ^ ا ب Rab, Hifzur. "Problems created by fiat money gold Dinar and other alternatives." 2002)، International Conference on Stable and Just Global Monetary System.، IIUM, Kuala Lumpur. 2002.